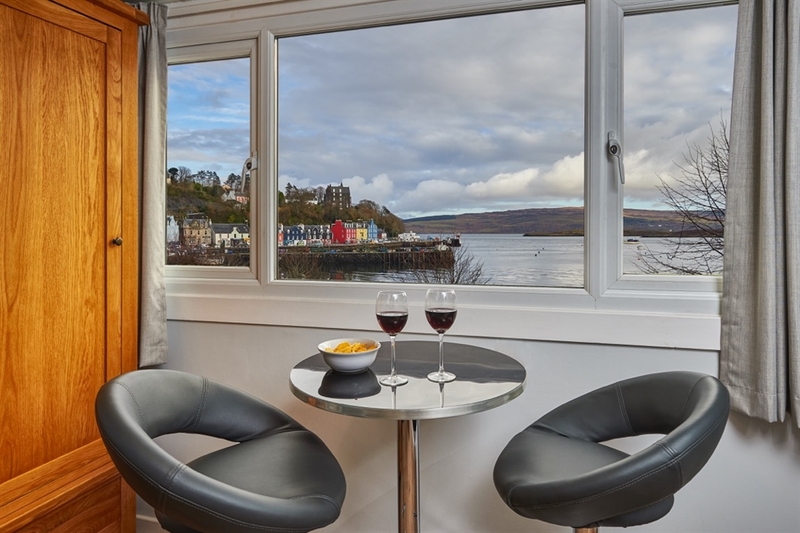 Perfectly situated on Tobermory's stunning harbour, we offer a warm welcome, bright and comfortable accommodation and a locally sourced breakfast. Harbour Guest House is one of the famous, colourful waterfront buildings. 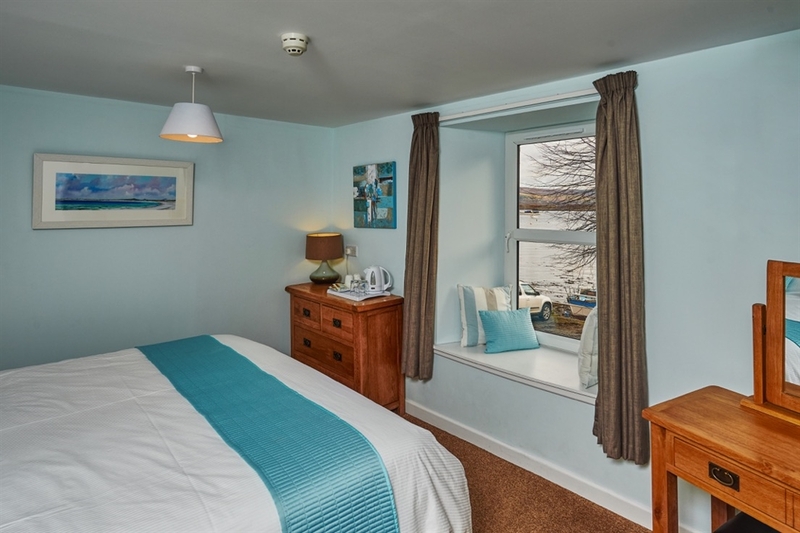 Most of our rooms look out over the harbour and all are en-suite, apart from one which has its own private bathroom. 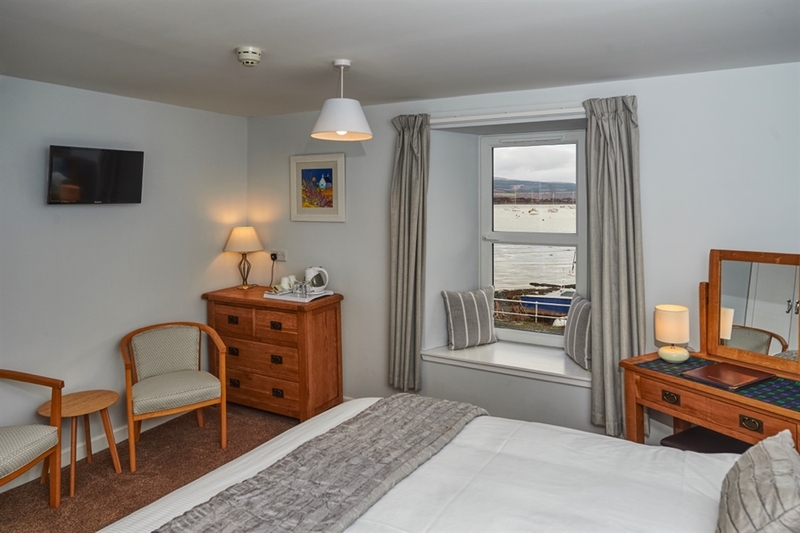 The rooms are a family room (king size bed and 2 single beds, en-suite), 3 super-king or twin rooms (en-suite), 2 single rooms (double beds, en-suite) and a double room with private bathroom (king-size bed, sitting area overlooking the harbour on 2nd floor, no other guest rooms on this floor). Do read our reviews on TripAdvisor. 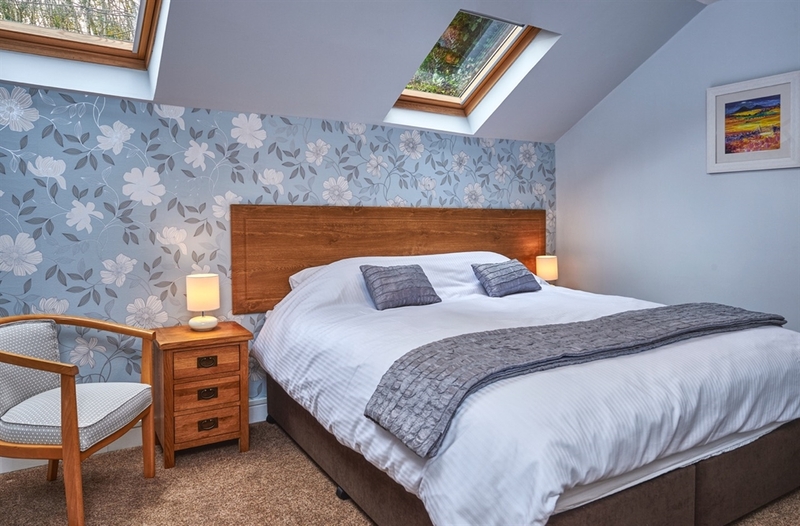 The bright and spacious dining room has a large picture window overlooking the bird feeders and there are sofas and chairs for relaxing in the lounge area. 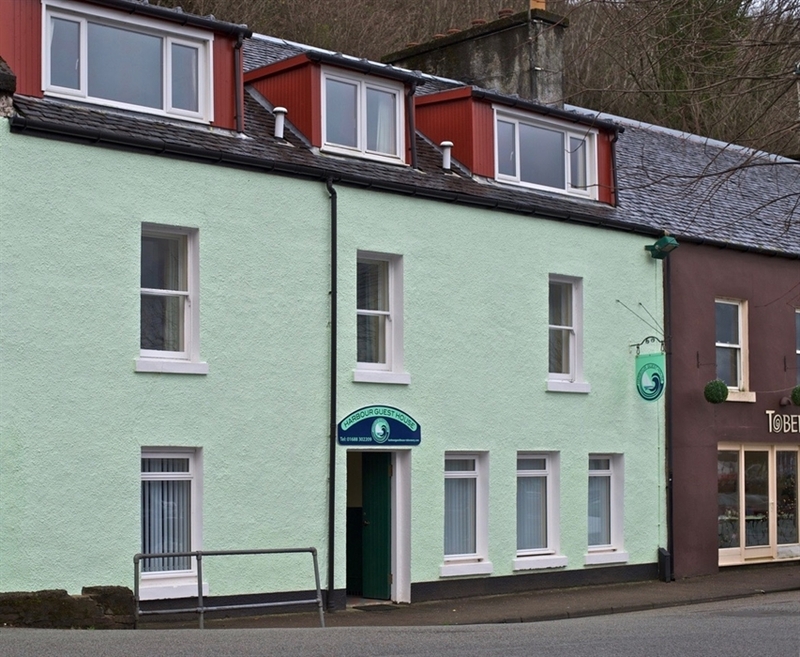 Breakfast choices include the local farm's Island Pork sausages & bacon, smoked salmon from The Tobermory Fish Company and vegetarian options. After your day out enjoy a cup of tea or coffee with the delicious organic shortbread biscuits from Island Bakery. 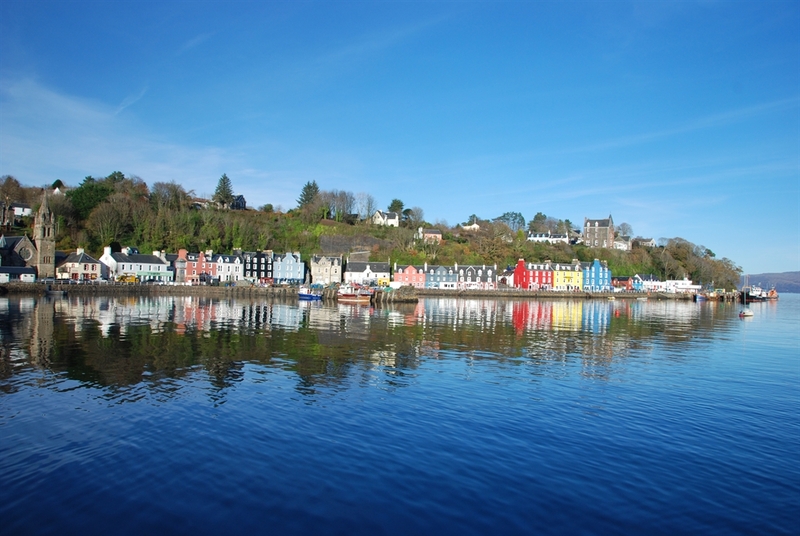 Stepping out of the front door you will find Tobermory's restaurants, cafes and shops just along the street - the Tobermory Chocolate Shop is next door! At the harbour pontoons you can take a whale watching trip or visit Staffa and the amazing Fingal's Cave. Land based wildlife tours also depart from the harbour. 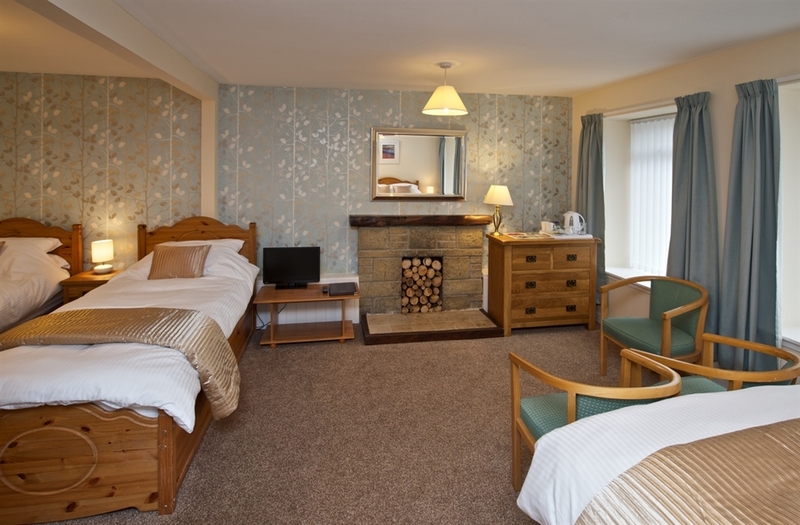 Local walks start from our door with paths to the Lighthouse or Aros Park at either end of Main Street. The Isle of Mull is the most amazing island for wildlife - home to white tailed sea eagles, golden eagles, hen harriers, otters, minke whales, dolphins, seals, red deer and feral goats. 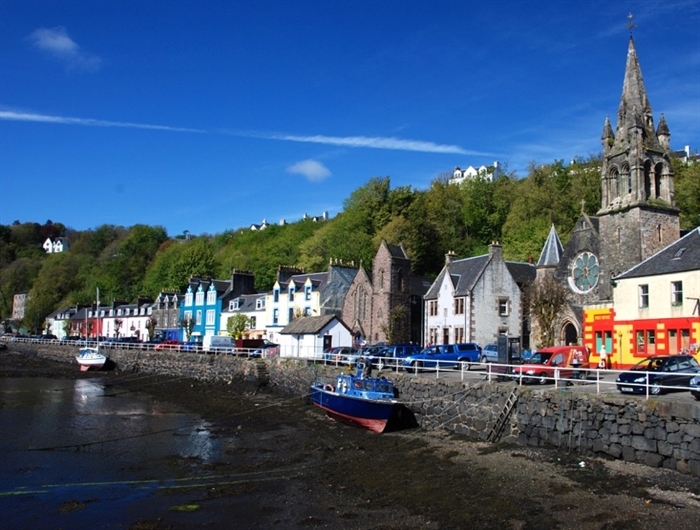 It is a walker's paradise with stunning scenery, dramatic coastline, inland lochs and sandy beaches. Castles including Duart Castle, home of the MacLean clan, and the remnants of Moy Castle give an insight into the turbulent past.